Manchester City, Birmingham City and London Bees joined holders Arsenal in the last four of the Continental Cup with quarter-final victories on Sunday. 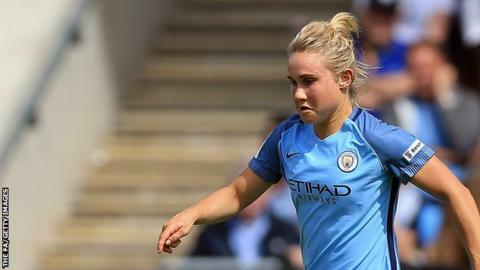 Izzy Christiansen and Toni Duggan were among the scorers for Women's Super League leaders Manchester City in their 4-1 win over Doncaster Rovers Belles. Blues overcame Liverpool in extra-time, with Coral-Jade Haines netting the only goal in the 120th minute. London won 2-0 at Sheffield in a tie between two WSL 2 clubs. The Bees, who beat Chelsea in the previous round, are the first ever second-tier club to reach the last four of the Continental Cup. Arsenal defeated Notts County 3-2 on Friday in a repeat of the 2015 final.